The fiber drums contain 55 gallons of the world’s best absorbent. It’s the perfect solution for mechanics bays, truck yards or any place resealable bulk is needed. Easily refilled with bags. Drums are easily resealed using a compression ring. Four drums fit on a pallet. Spills happen. Be prepared and have Greasweep® on hand. It’s the fast, easy, and economical way to pickup those unexpected spills. Works faster than the competition, containing spills before they can do more harm to the surrounding environment. 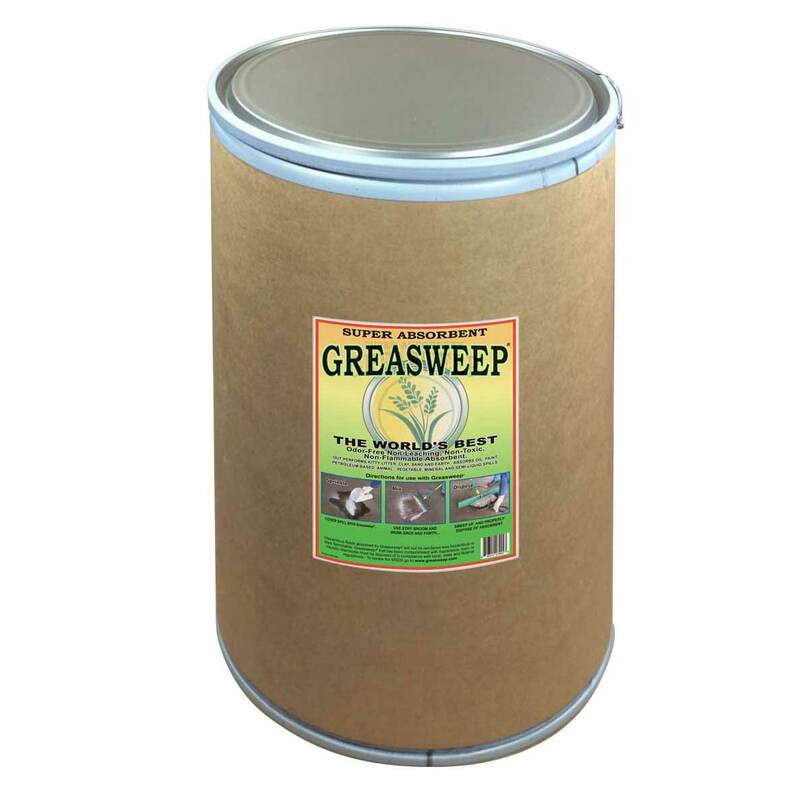 Made from the discarded and burned hulls of rice, Greasweep® is the 100% organic, renewable spill absorbent. 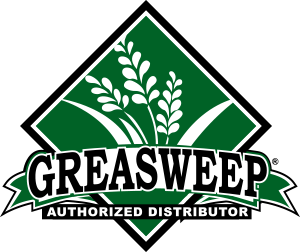 Greasweep® can also be used on hard-to-remove stains from your driveway, patio, walkways, stonework, and decking. Simply use in conjunction with your favorite degreaser or solvent.